Make Money Online Reviews Is 100K Factory Revolution Worth $2,497? Once in a great while, I encounter an online income training program that makes me stand up and take notice. 100K Factory Revolution is one such program. Because this program has a price tag of nearly $2,500. If paid off on an installment plan, 100K Factory Revolution costs almost $3,000. What exactly justifies this high price tag? To answer that question, let’s first look at the program itself. This Internet marketing training program is the creation of Aidan Booth & Steven Clayton, who both earn a full-time income from e-commerce. The 100K Factory Revolution program strives to have members earn $100K/year from four websites that they create and build, and then monetize using Facebook, Amazon and Google PPC ads (among others). The program also teaches members how to drive traffic to their websites and to sell affiliate products. The program makes some very bold claims, such as how its members earn thousands of dollars each week. Also, in just 60 days, members can earn $100K/year through their own e-commerce websites by following the steps outlined in the program. Can 100K Factory Revolution truly deliver on all these needs and tactics and ensure that its adherents earn 100K in just 60 days? One big clue came from the case study that the program offers on its sales page. 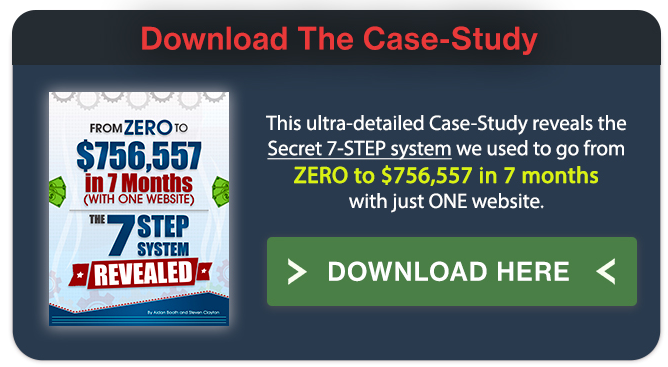 Here, you are offered the opportunity to download a case study of someone who went from earning $0 to $750K+ in just 7 months, and all by using just one website. If you are at all considering purchasing 100K Factory Revolution, please download and peruse this program’s featured case study content. Why? Because this report highlights, in very fine detail, just how the program will help you create $100K websites in the space of just two months. Hand-pick a product. Here, you are instructed in how to pick popular products that not only sell well, but are highly adaptable to social media platforms, have high profit margins, an approachable price point, etc. Example products to sell and to avoid are shown. Install your store. “Test beds” are discussed as a way to test products for their potential to make money. In essence, you set up “rough-hewn” test websites and check their traffic and conversion rates early on. The websites with the best numbers are kept and the others are scrapped. Identify your buyers. You identify your target demographic for your product and then craft your ads to that demographic. 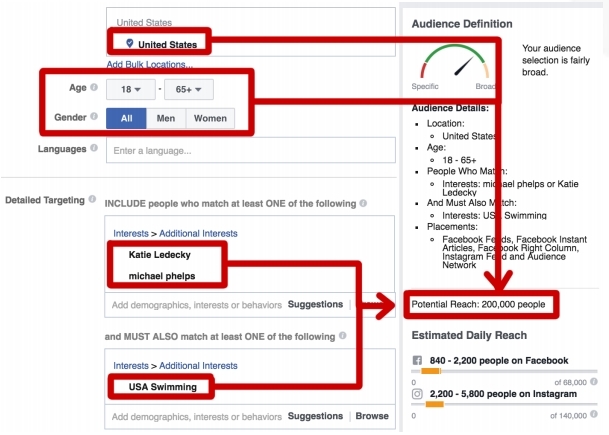 The program also introduces you to the ‘Audience Matrix,’ a tactic for identifying who is most likely to buy your product(s). Initiate Traffic Machine. Here, you balance the cost of your advertising against product sales and find the optimal formula where you spend the least ad money for the most product sales. A “top-secret, number-crunching advertising super-computer,” called Vulcan, is introduced. This is also the “secret weapon” mentioned earlier, and one of the main points of the 100K Factory revamp for 2017. Optimize conversions. 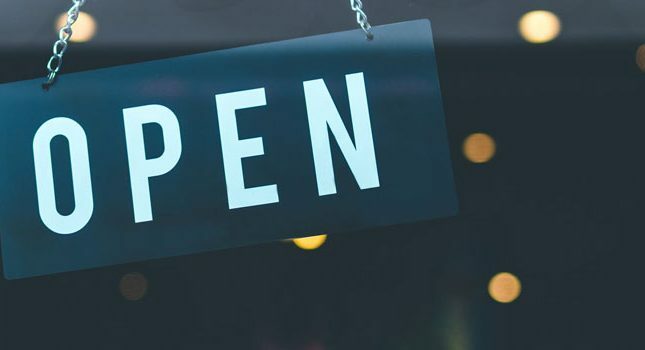 You optimize product sales by trying different selling tactics, including using different pricing/shipping models, trying different ad types and retargeting, refining the target audience, testing different website designs, leveraging the buyer email list, etc. Launch your super funnel. The super funnel, as described by the program, consists of launching optimized sales pages to your audience that capture its attention and wallets. Rinse and repeat. 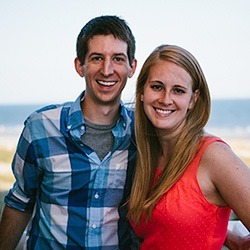 Here, the program tells you that you should shoot for a “modest” goal of making $8,000/month. That comes out to over $100K/year. So, can this program deliver on its promises? The 100K Factory Revolution program does make a lot of bold claims about how you’ll be earning thousands of dollars per week in just a few days. There is also the assumption that, as long as you select the right products and optimize your products and ads, you should be making hundreds of dollars each day. Could this be the case? Sure, your Powerball ticket may also hold the winning lotto numbers. It simply isn’t as easy as picking a product, creating an ad, and raking in the money. Spending $2,500 on the program itself will be just the tip of the spending iceberg for you. 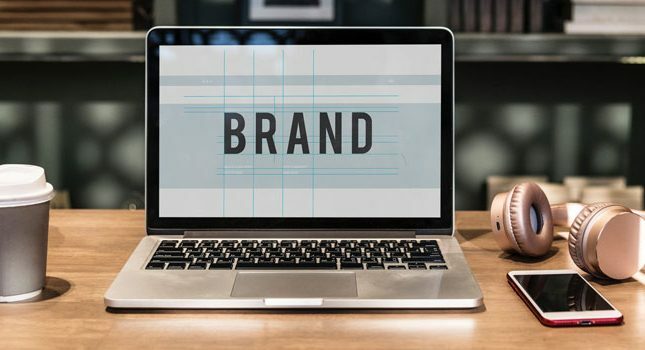 With all the emphasis on Facebook and AdSense ads, you’ll need to dedicate your money to ad space on various social media sites and the Web itself. A lot of your ads will fail as well. You can write off the loss of course, but it’s quite easy to lose a lot of money. Finally, for the information you are provided, you can certainly find cheaper programs. This is on the higher end of eCommerce training we’ve seen. 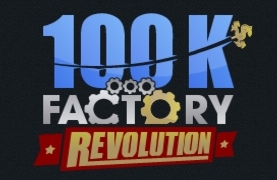 Has anyone tried 100K Factory Revolution? $2,497 is a little too steep to throw down just to review a product, so we are opening the discussion floor up to you guys in the comments below. Please, if you have tried the program or have eCommerce experience, let us hear it. I signed up for the new program 7 figure cycle course. I’m just coming in with a open mind. 2017 was rough and this year I’m taking a risk this year. Invest in myself so I’ll see how it goes. I signed up for the program after asking many questions directly to them before purchasing. One of the questions I asked specifically was how much money I would need beside the price of the program itself? They were including a website hosted for 2 years at that point. I said I could afford the $5/day which they said would be all that was needed for the advertising to be successful at generating a $100K/yr business within 2 months. So I signed on. I followed the program precisely. After hundreds of hours building everything out, I made $0. Also, as they made tweeks to the program to make it better, they would not grandfather in anyone who purchased earlier. That was the final blow. I will never trust these guys again. My take on it is that like the lotto, there are a few winners which are used in their sales pitch to substantiate their claims. Good luck. Hope you win the lotto here. My honest opinion is that 100K is not worth the very expensive price. There are other way less expensive courses out there that give you a lot more information and are way more honest. When pitching the 100K it was said that you need to spend a few bucks on ads, but that doesn’t matter because you will get like 4-5 dollars back for every dollar spent. Well, this might be true once you have found a winner, but before that you may have to invest hundreds or thousands of dollars. To me it’s very unethical to make that claim, make people buy a course for 2,500 dollars and then they will potentially have to spend that sum again for ads. Thanks Ethan. I wish you all the best with it. Feel free to drop by and give us updates on your progress.